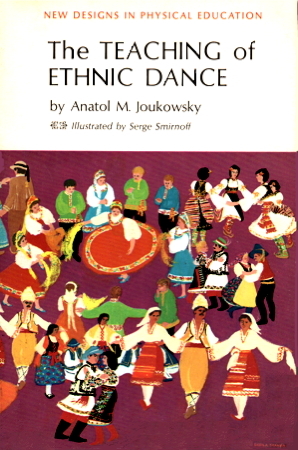 The Teaching of Ethnic Dance by Anatol M. Joukowsky. Illustrated by Serge Smirnoff. Published by J. Lowell Pratt and Company, New York. 1965. Contents: Backgrounds and descriptions of ethnic dances choreographed by Anatol Joukowsky.